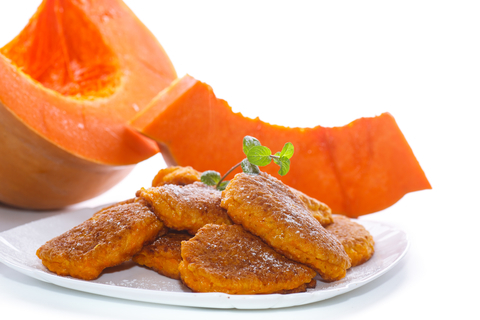 Today is our day for Pumpkin Fritters at Home Cooking Haven......Good morning to each and everyone, so glad to have you here with us. When I woke up this morning with a gourmet craving, I knew only our delicious, tasty fritters recipe would relieve this craving. These fritters are perfect for many things...... from when you are having friends around for some sundowners or snacks for the children's lunch boxes and you can freeze them to enjoy later. . This is also a great snack for those people in the world who will be celebrating Halloween this year. My mother, who was a big influence in nurturing my love for cooking, used to treat us to these fritters at least once a month. She used to get us all involved (and there were 5 of us) from mixing the batter to peeling the pumpkin and as a reward we could choose what kind of fritters we wanted, for example Banana Fritters. The only problem my Mom had was "us" because as fast as she removed them from the pan the faster we were pinching them, good old days those!! I am smacking my lips already, so let's start a-cooking shall we? Right..... first things first, let's get all the ingredients for our Fritters together so we can start having fun. 250 g cooked pumpkin mashed. 140 g (250 ml) self raising flour. Cinnamon sugar mix. (Mix ¼ cup brown sugar and ground cinnamon to taste). The fiber and potassium in pumpkin all support heart health. Increased potassium intakes can also help in the reduction and formation of kidney stones. Pumpkin is chock a block full of vitamins and minerals and is low on calories. 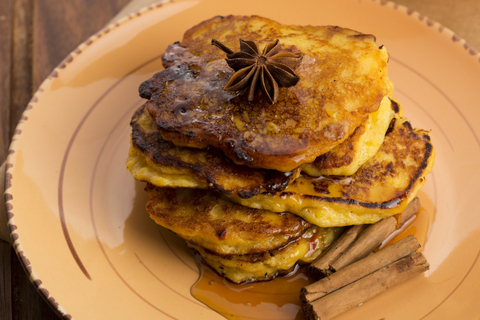 Okey dokey, time to gather the family and start making the batter for our delicious Fritters. Peel and cut pumpkin in small cubes and cook until soft. Remove the cooked pumpkin from the pot, drain moisture and mash. Add the mash pumpkin, season with salt and pepper and continue to mix. Now gradually add your flour continue mixing until nice and smooth . 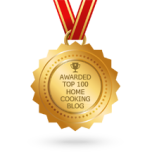 Place a basting spoon of the mixture into the hot oil. Cook until golden brown on one side then turn the fritter and repeat for the other side. Leave to cool and sprinkle with the cinnamon and sugar mix. Remember the eyes in the back of your head!! TIP for the Chef, make your pumpkin fritters last, they always seem to get better the more you make. 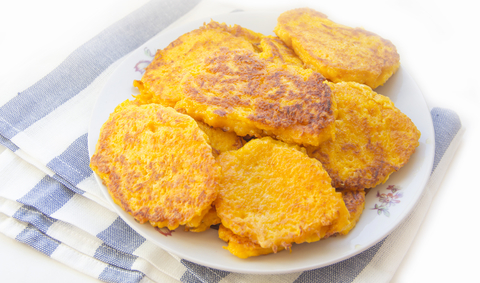 Using the same recipe above you can make a variety of fritters using Banana's, Butternut, Apple etc. The only ingredient that changes is the vegetable or fruit you will then be using. You can also use a muffin baking tray to make your muffins. Spay the hollows of the tray with non stick spray. Bake in oven for 15-18 minutes until done..
Great you have completed a great snack that can be served with: fresh cream.